Fleas can cause a host of problems for pets. In extreme cases, fleas can even lead to anemia from excessive blood loss over time. Other pets are allergic to flea saliva and develop dermatitis, which results in random hair loss, scabs and hot spots. Capstar flea medication for cats and dogs kills adult fleas and prevents them from harming household pets. Read on for some general information about why fleas are so insidious, and an overview of how Capstar flea medication can help. Pets in the southern and western states are susceptible to fleas year-round. In the northern part of the country, these pests thrive mostly from April to November, but continuous prevention is still the best idea. Even if you think your dog or cat is flea-free, the parasite has developed an unsettling number of adaptations to make sure pets don’t stay that way for long. Fleas can hop nearly 10,000 times when searching for a host before they have to settle, and their narrow bodies move easily and nearly invisibly through pet fur. A flea life cycle ranges from 16 days to 21 months, and flea eggs can hatch long after an initial batch of fleas has been eradicated. While topical products have their benefits, they can also drip or wash off as the pet runs and plays. Capstar is an oral tablet and starts working within 30 minutes. It contains nitenpyram, a chemical that disrupts the adult fleas' neurotransmitters and kills them. While Capstar works quickly to kill adult fleas, it is only a short-duration product and does not prevent fleas from reinfesting the pet. However, it is safe to give the pet another dose at least once per day if necessary. Capstar is made for cats and dogs between two and 25 pounds and adult dogs over 25 pounds. It's also safe for puppies and kittens that are at least four weeks of age and older. This medication has an impressive safety profile, which means it’s okay to administer it to pregnant and nursing dogs and cats. It's also safe to use Capstar with other products, such as antibiotics, heartworm preventatives, vaccines, and de-worming medications. Because Capstar only targets adult fleas, it is one part of a total flea management program. To prevent immature flea development, use an insect growth regulator, such as lufenuron, on all pets in the home. The growth regulator will help deter flea reinfestation, and Capstar will kill any remaining adult fleas on the pets. Novartis, the maker of Capstar, recommends using this combination as an effective treatment program for eradicating immature and mature fleas on both cats and dogs. Ask the experts at Medi-Vet about Capstar and other ways to keep pets happy, healthy, and flea-free! 1. Cats' whiskers are an important part of their natural navigation equipment. They use them to sense air movement and detect when objects are close enough to obstruct their passage. Cats whose whiskers are clipped or damaged can become disoriented and uncomfortable. 2. Cats have one of the broadest hearing ranges of any mammal. They can hear ultra high-frequency sounds that humans can't. This helps them in hunting, since mice and other rodents communicate using ultrasound. 3. Cats can see extremely well at night, yet not as well in the daytime, particularly when looking at objects from close range. This is partly due to a blind spot that prevents them from seeing objects that are directly in front of them. They can see faraway objects much better and tend to depend more on motion or scent to help them notice the presence of an insect or other animal that's nearby. Learn more about this blind spot here. 4. A cat's sense of smell is more acute than its eyesight. Cats learn more about their surroundings through their sense of smell than they do through sight. While cats can see fairly well from a distance, they rely primarily on their highly developed sense of smell to detect things, animals, or people that are in closer proximity. 5. Cats are lactose intolerant. Many people are unaware that cats cannot digest cow's milk, which can cause digestive disturbances, including diarrhea. Goat's milk is easier for them to digest and may be used as a substitute, if desired, though cats no longer require milk for nourishment once they've been weaned. 6. Chocolate is toxic to cats. The caffeine and theobromine in chocolate can over-stimulate your cat's heart and nervous system, and the darker the chocolate, the worse the level of chocolate intoxication and the more serious the reaction can be. So, keep that half-eaten chocolate bar out of sight. 7. Garlic and onions are also toxic to cats. Garlic and onions, whether cooked or raw, can damage your cat's red blood cells if given in large enough quantities. Keep this in mind if your kitty is a fan of table scraps! In fact, cat owners would do well to keep a list of foods that are toxic to cats on their refrigerator, just in case. 8. Cats need a lot of sleep. According to MentalFloss, cats sleep twice as much as humans and can easily nap on-and-off for 15 hours a day or more. This is normal. However, if your cat becomes lethargic, seems uninterested in food, or demonstrates a major change in sleep behavior, consult your vet. 9. Cats can be allergic to humans and their lifestyle. Household dust, human scents such as perfume, and human activities such as smoking can create discomfort for cats. If your cat coughs a lot, feline asthma caused by allergens could be to blame. 10. Cats can contract the feline form of Alzheimer's. To reduce the risk of this serious form of dementia in your cat, be sure to provide a healthy environment, a nourishing diet, and lots of attention and mental stimulation. Learn more about feline Alzheimer’s prevention and treatment here. 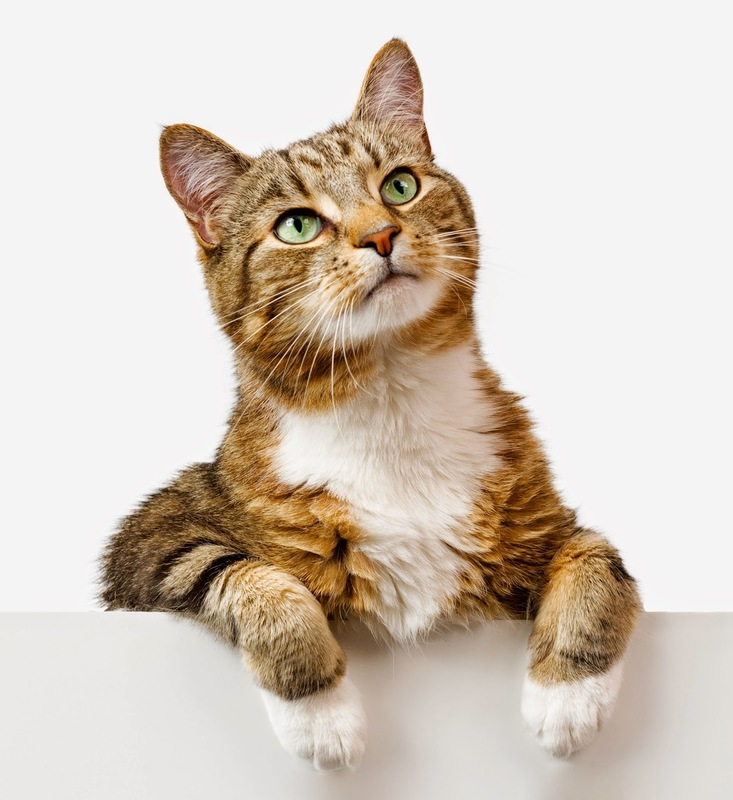 By paying attention to a few characteristics that are common to cats, you can help keep yours healthier and more content. And we think you’ll be happier for that, too!